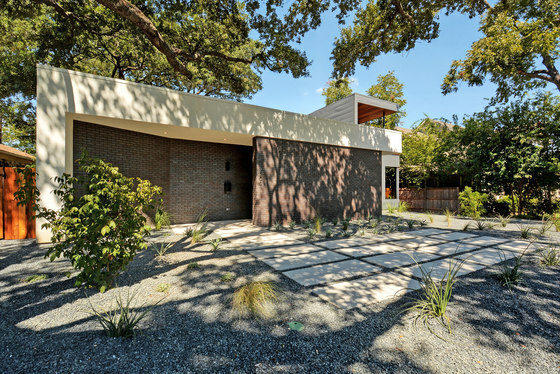 Austin’s Bouldin Creek neighborhood provides a unique and ever-changing context to the Main Stay House. 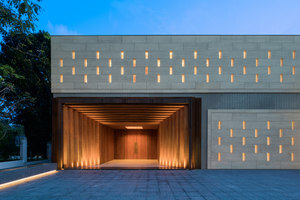 The challenges were both cultural and site-specific. 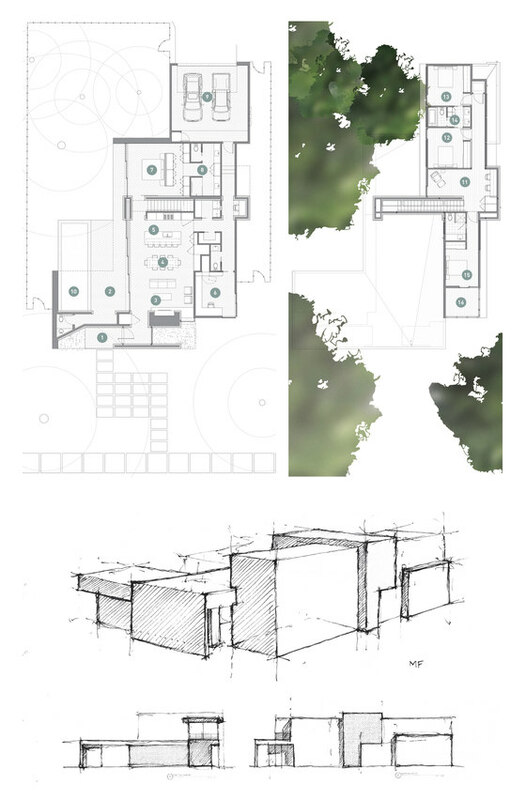 The Main Stay House exists as a simple and straightforward proposal – an architectural experiment on domesticity - enabling lifestyle flexibility through clean forms, relatable materiality, and an urban infill living space that blurs the lines between inside and outside. 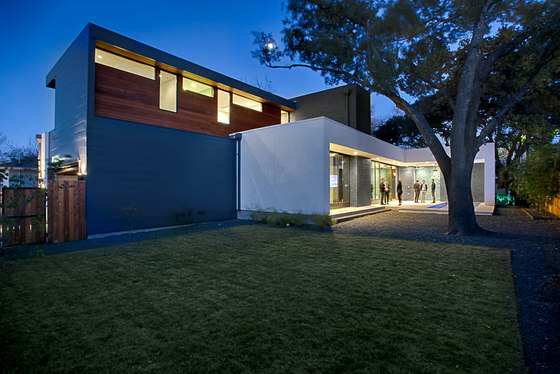 The entry sequence is a twist upon the conventional domestic front door, front facade, and fence. 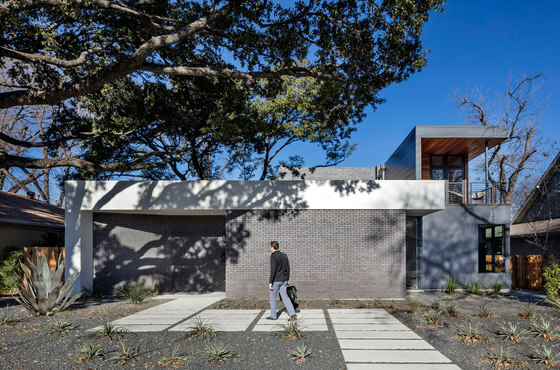 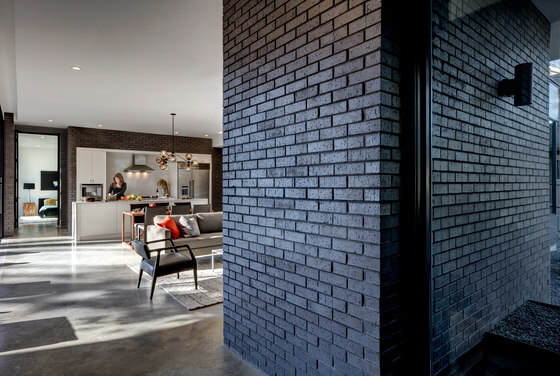 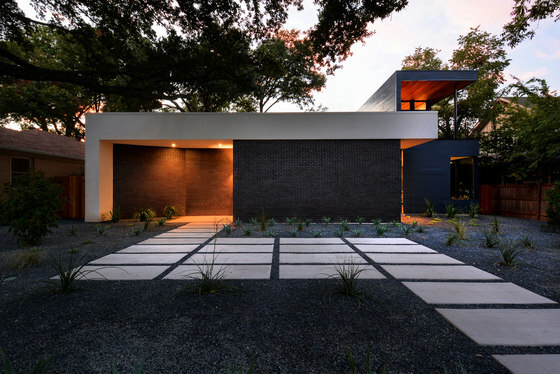 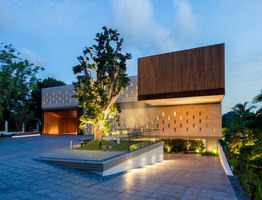 The front masonry wall replaces the typical residential fence and frames an indirect access to the front door, functioning as a privacy barrier while revealing slices of the interior to the public street. 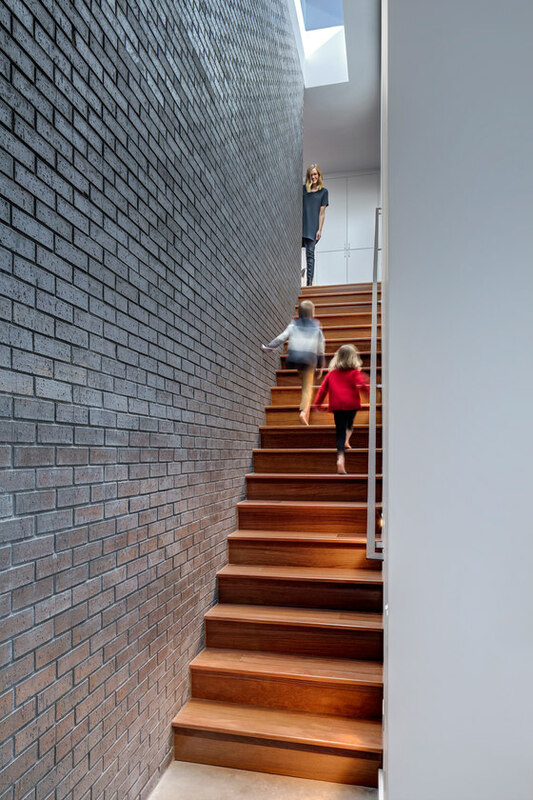 The staircase bifurcates the layout to provide a clear division between the common and private zones of the house, while clearly reading as a mass from all outside view. 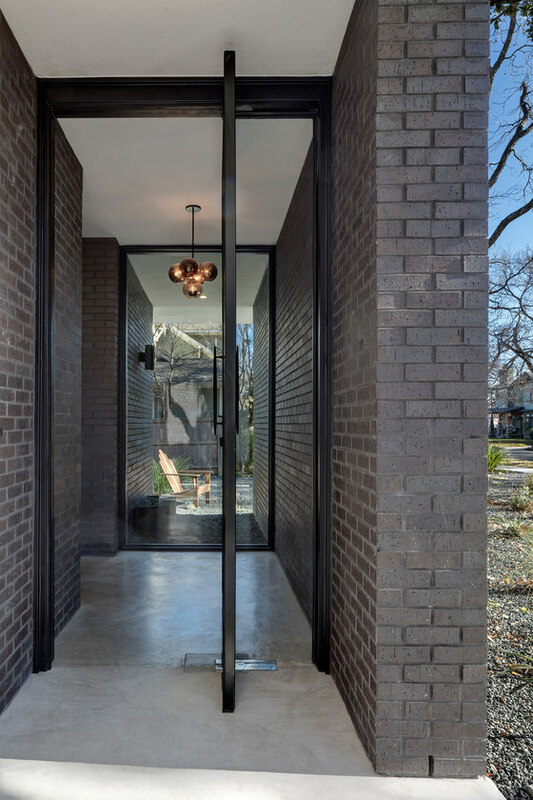 Brick and glass become portals between common and private zones. 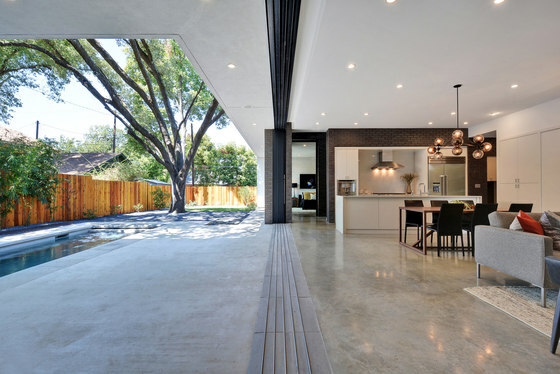 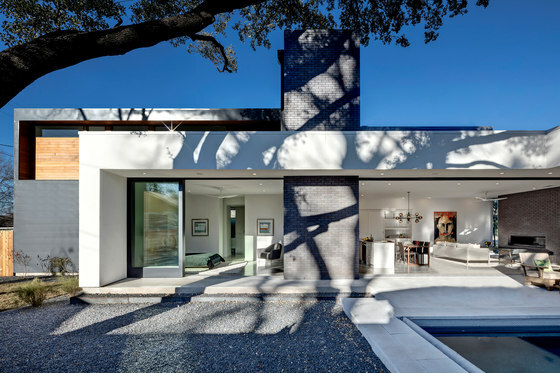 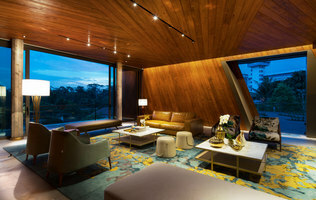 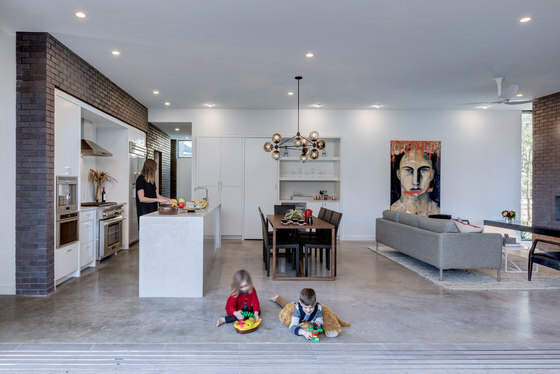 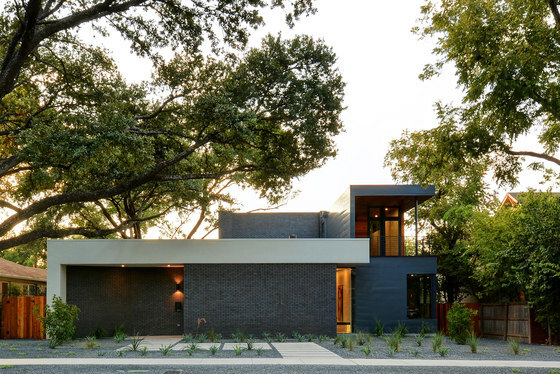 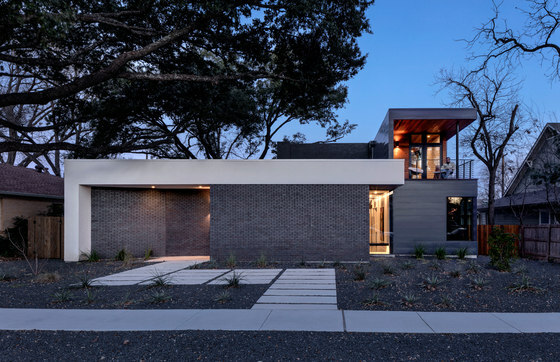 The house is built to endure the hot climate of central Texas, from orientation to framing to airtightness to thermal-bridge free connections. 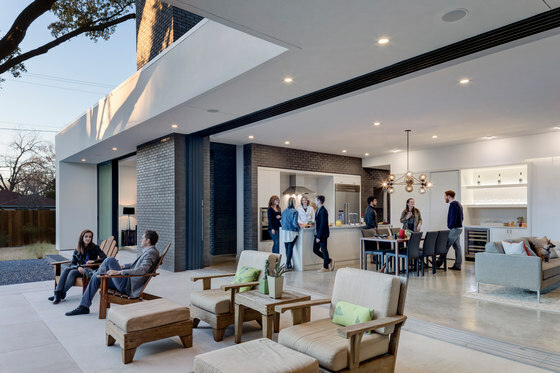 Simple and yet clever design moves enable a free-flowing plan and section which allow an abundance of natural light without overheating during the hot summer days. 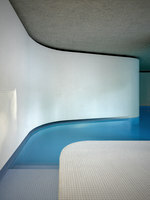 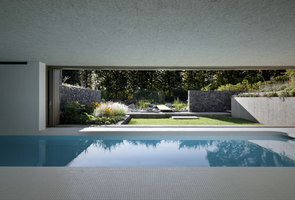 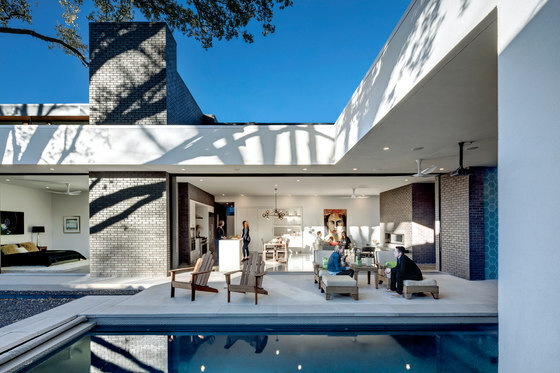 The Pool Court capitalizes on the dappled light from the tree, roof overhang, natural breeze and water. 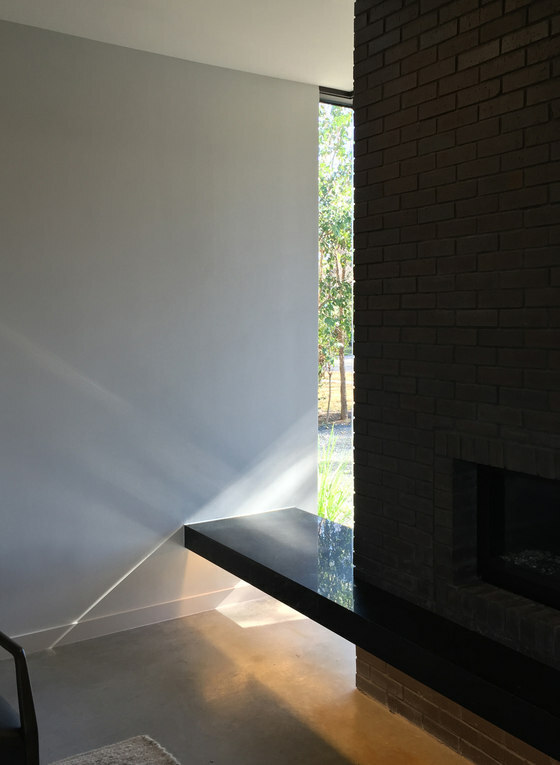 Various openings are carefully considered in each interior space to withstand the harsh west sun, providing a balance of daylight and shading while reducing reliance to artificial lighting. 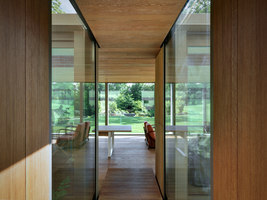 Operable windows with double glazing and low E coatings to provide cross ventilation. 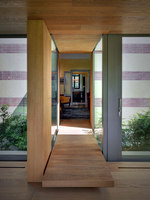 A more robust framing method (2x6) is used with advanced insulation. 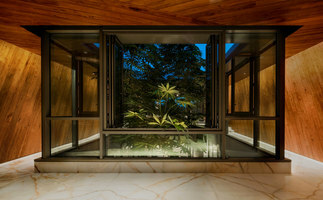 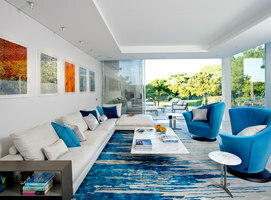 The inside of the house is cool enough to live without a functioning a/c even in the hottest months. 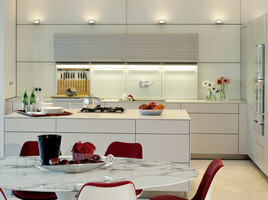 All wood products use formaldehyde free binders, and only low VOC paint was specified.